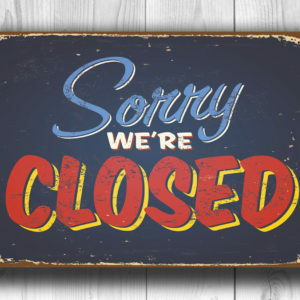 We’ll be open from 5-11 p.m.! 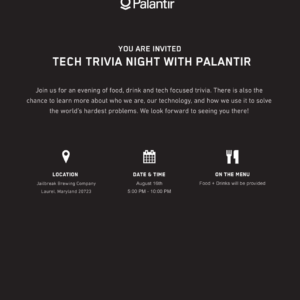 Register to join Palantir for an evening of food, drink, and tech-focused trivia! 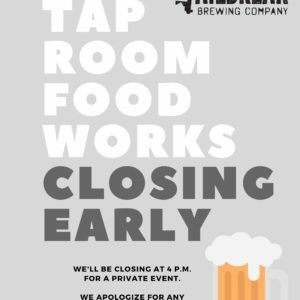 The Taproom/FoodWorks will be closing at 4 p.m. We apologize for any inconvenience!